€439.00+ Black and white build . Glad that RGB lighting can be controlled by Asus Aura software. RAM is RAM, pretty RAM is also pretty, so yes! 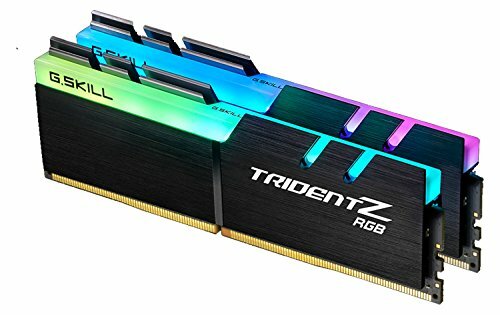 Worked for a week after I bought it, then one of the ram sticks RGBs failed, and it reported the wrong memory profile claiming it's XMP was 4024mhz. So I had to RMA it. Hope I get a working kit in back. Edit: Got my RMA back, it died in less than 24 hours. Thought maybe my Mobo could be a problem, so I got a cheap crucial kit, and well it boots up fine. lowered to 1 star. Fast ram and looks amazing! The extra cost is totally justified as this stuff seriously is awesome! 100/10 would buy again! Doesn't play well with ASUS AURA software. Gigabyte software works well though. Works really well with ASUS Aura and works very well with my motherboard and graphics card.